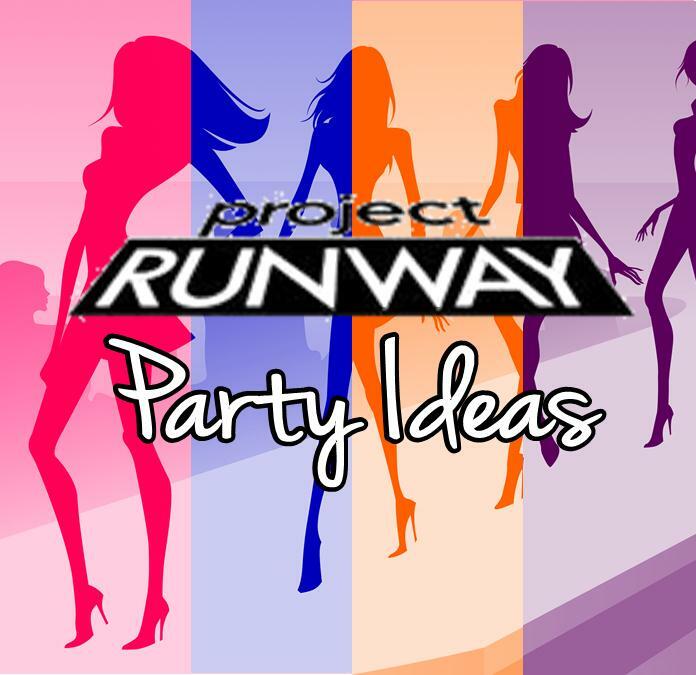 Project Runway Party Ideas for throwing an AWESOME fashion Party! Check out our fun and fashionable Project Runway party ideas, games, activities, and party supplies! Perfect for the the fashion savvy teen or budding fashion designer. Finding project runway party supplies for this theme you will discover zip. 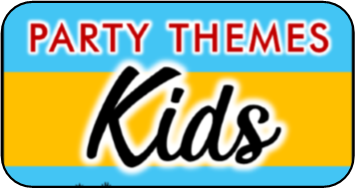 So I created my own printable party supplies that you can personalize with your child's details. I hope you like my ideas, I would love to know what you think. 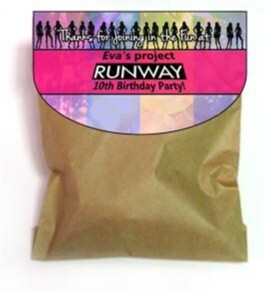 Project Runway invitations and party supplies! 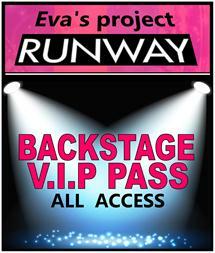 What would a project runway party be without walking down the runway? 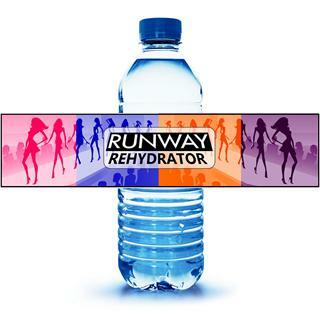 The runway can be incorporated with many of the other ideas on this page, such as the fashion designer, Mad Fashion, or post makeovers. It could also be used on its own if all the guests come dressed in their most fashionable outfit, this will be a fun way to show off their own unique style. You could start by giving runway lessons by having the girls practice balance with a book on their head (this could be a game in itself), practicing their most sassy fashion walk, learning how posture ( keeping head up, shoulders back, etc.) makes such a big impression. You could even let them watch an actual fashion show on Tv or DVD to get some ideas. You will of course need to create a “runway. You can do this many ways. My best advice is to have a curtain set up so the “models” don’t reveal themselves until they are ready to do their catwalk. If you have an audience that would be perfect. You could make this your grand finale and invite parents to come to be the audience. You will also need to play some fun, upbeat music playing to set the tone. To truly make the show memorable set up a microphone and play the MC (or get a volunteer to do it). The MC would announce each girls name and gush about her outfit and fashion sense. The MC should make each girl feel like a fashion queen up on stage by giving individual compliments and encouragement. This is a great way to boost self-esteem as well. You could ask the girls beforehand what their favorite thing about their ensemble is to get ideas on what to tailor the comments to. You can also brainstorm beforehand some fun things to say as a go to list so you don’t freeze up as MC. Of course you will want to take tons of photos (perhaps even a video). Having a volunteer to play photographer would be ideal. They can stand on the sidelines of the “runway” and take tons of photos. These also make great keepsakes for the guests. You might also consider setting up a few fans around the runway so that their hair looks like it’s blowing in the wind. They make great photo ops. Getting everyone through these stations could take a while, this ideas is perfect if you are planning a sleepover or all day event. ANYTHING that might be able to be incorporated into a fun fashion piece. You can find items at local thrift stores, fabric stores, friends, family, etc… Though all the bags should have different items in it make sure to make them equal in value and quality. Also you will need to include tools they can use to create with. 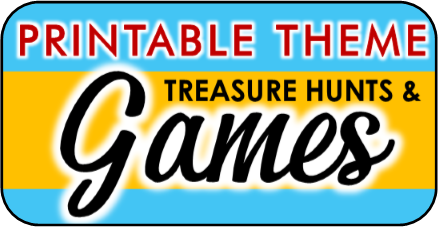 Depending on the age group this can include anything from scissors, safety pins, paints, string, measuring tape, etc..
A simpler version of this game by providing each team with a stack of newspapers or trashbags, and having them use their creativity to turn trash to a fashion treasure. Divide players into teams and provide scissors, glue, and a poster board. You will also need to have a large stack of fashion magazines at their disposal. You can collect these from friends, family, thrift stores, etc. Give each team a list of items they must find, cut out, and glue on their poster board. At the end of 20-25 minutes the team that has collected the most items on their list wins. Items that you could include on your lsit are endless…. green pumps, tiara, bow, the word Fashion, a pair of red lips, painted toenails, tie, fancy dress, etc.. You can make the list harder or easier depending on your age group. This is a great game to let your guests play as they are waiting for everyone to arrive to the party. You can print out fashion pictures from different era’s. think 50’s, 60’s, 70’s, 80’s, and 90’s, and now. Print about three per era. You can use google image search to find all the images you need. Tape or glue all the pictures onto a poster board or boards and number each one of them. When guest arrive they are given a paper number 1-18 (or however many pics you have on display). They can right their guess as to which era each fashion picture came from on their sheet. The guest who gets the most correct wins. With fashion comes jewelry. A fun activity that goes perfectly with this theme is jewelry making. Now for younger girls you can use one of the pre-made kits with beads and such (there are dozens of these sets for you to choose from. For older tween or teens you may need to go with something a little more sophisticated. You can provide wire, beads, an assortment of odds and ends, hook, earrings, feathers, simply a hodge-podge of items. You can often find bags of broken costume jewelry at thrift stores or eBay. You’ll need to provide enough material where older girls can truly express themselves and not feel like they are making paint-by-number jewelry. You can give prizes for the most creative design. If you are having a Project Runway sleepover then I think the perfect way to cap of the evening, after everyone has washed the make-up off their faces and gotten into fashionable jammies is a homemade facial. There are so many homemade facial recipes that it really depends on the age of the guests and preference of the host. This could also be another fun keepsake item if you create something that can be put in a container and used again later. Each guest can make their own, use it, and store the rest for the later. Afterwards settle down for a fun fashion move and voila…. You just pulled off an awesome fashion party. Below I have posted a easy to follow facial homemade facial how-to for teens. 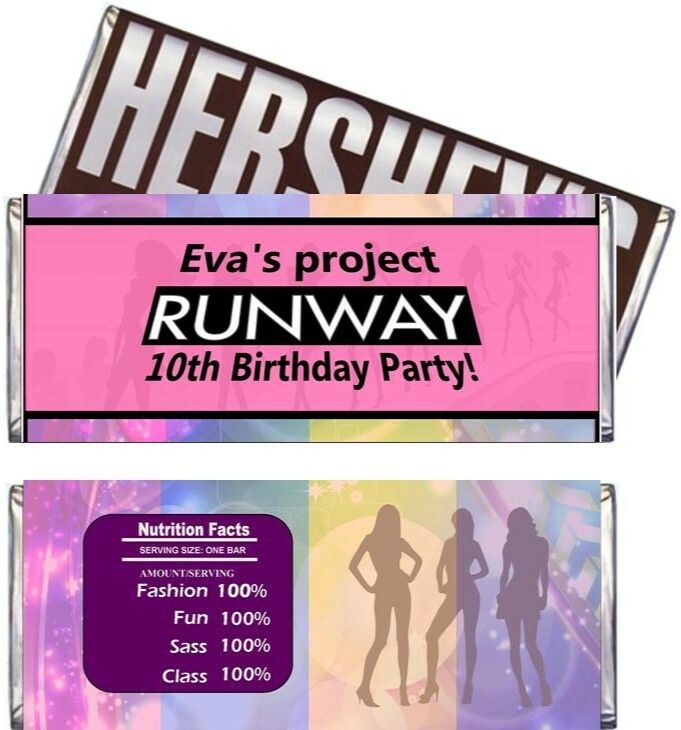 This Printable Project Runway Party Supplies set comes with everything you need to take your Project Runway party to the next level. 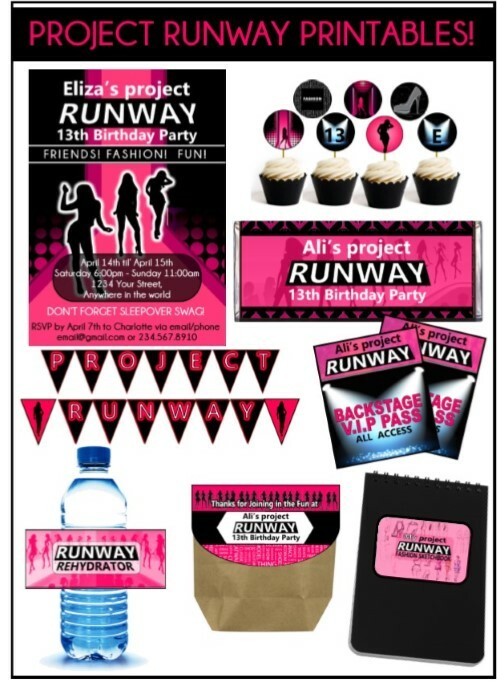 Invitations, cupcake toppers, banner, party badges, fashion designer labels, favor bag toppers, and more. PLUS, it comes personalized for your guest of honor! 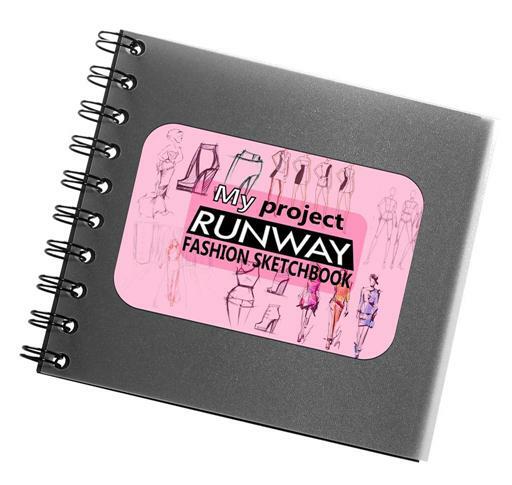 get your project runway printables now!